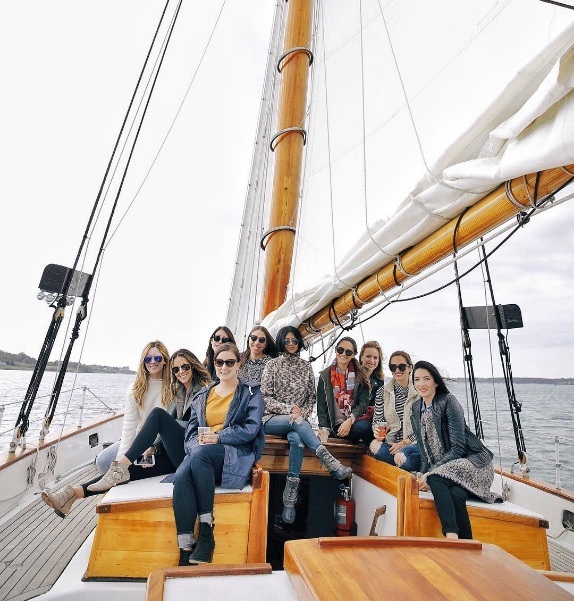 We recently hosted a few of our favorite bloggers, editors, and PR friends for a few days to show them Newport in all of its fall glory. We began their trip by welcoming them into our office for a factory tour – they were in awe of the transformation of a bag from sketch to paper model to finished handbag. Next, they were given a sneak peek of our Spring and Summer 17 collections (lucky ladies! ), and their reaction mirrored that of our team…there are so many exciting styles, colors, and patterns coming! After a day in the office, it was time to play. 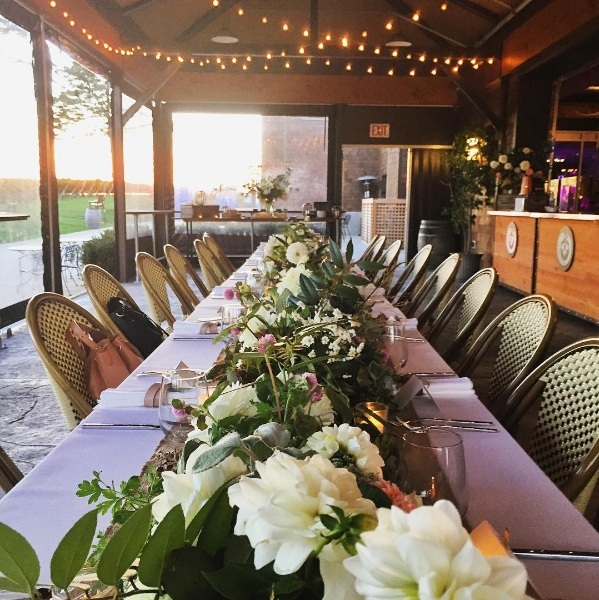 That evening, they were treated to an enchanting dinner under the twinkling lights of Newport Vineyards overlooking the grounds. Burlap runners, beautiful blooms in autumnal tones, and glowing candles created the perfect fall ambiance on a beautiful New England night. Our Winter collection was also on display, so there was plenty of eye candy in addition to delicious food and good company. The following day, the team explored the charming streets of Newport for some window shopping and mansion touring. 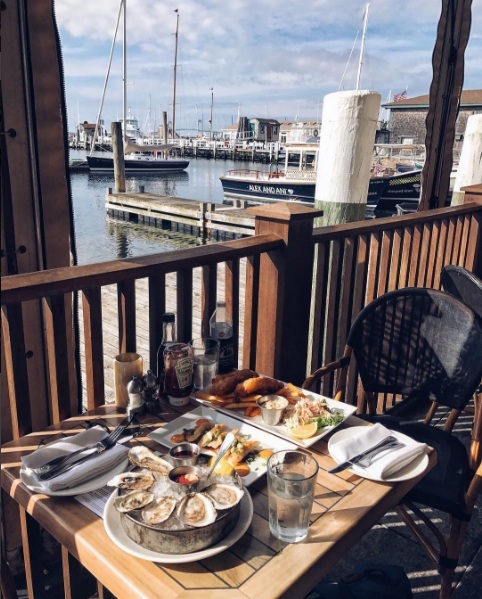 After lunch, it was time to set sail for a tour by sea of some of Newport’s most scenic spots with the foliage at its peak. 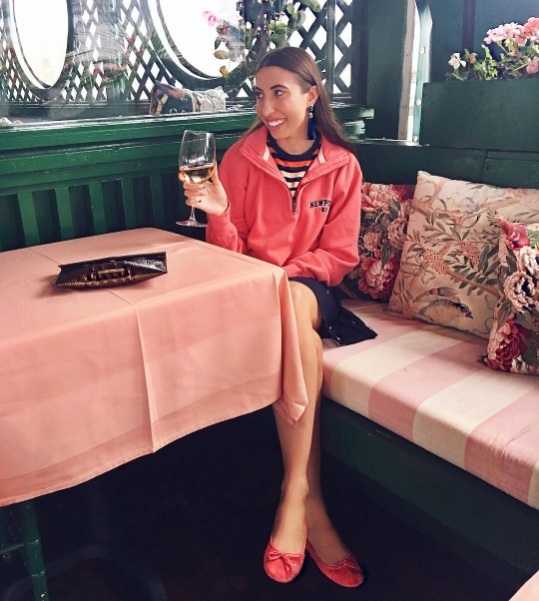 The day wouldn’t have been complete without a visit to our Bannister’s Wharf boutique to see the current collection and do a little shopping. Dinner at one of our favorite neighborhood spots, the Clarke Cooke House, was the perfect ending to the day. Thank you to everyone who joined us – we loved showing you our world! Posted on November 1, 2016 by Brahmin Handbags and filed under Events, Bloggers & Fashion and tagged events.